Porto is one of my favourite cities in Europe for SO many reasons. It’s a truly unique city that’s full of charm and wonder, with plenty of pretty streets, culinary treats and endless scenes of entertainment. It’s also the kind of city you can get a really good feel for in a single weekend. Two days in Porto is more than enough to get a taste of Portugal’s second largest city, but you could easily spend weeks exploring, too. However long you have, I’ve put together this Porto itinerary so you can adapt it to your own plans. 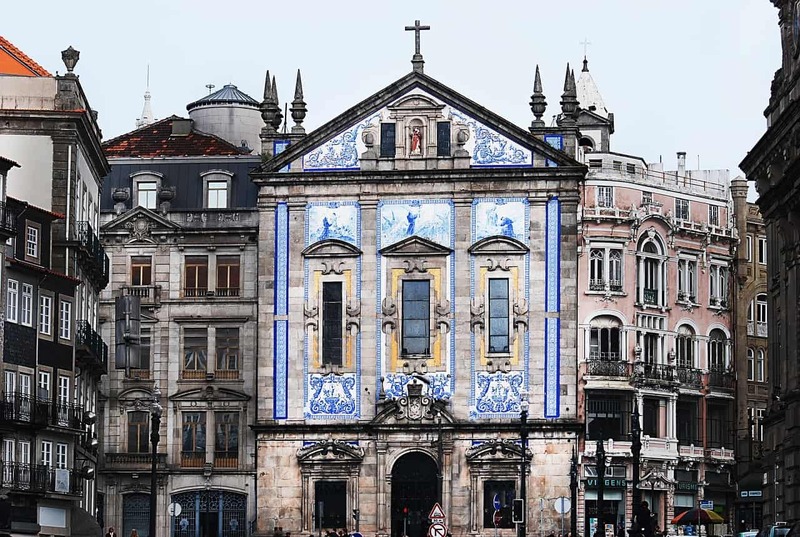 This Porto itinerary will help you make the most of your time if you have 2 days in Porto, but you’ll have no problem filling more time – especially as it’s so close to many other beautiful towns in Portugal. Is 2 days in Porto enough? 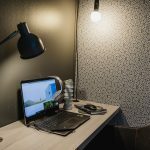 If you’ve already planned your trip to Portugal and are just looking for things to do in Porto, you can scroll down to the next section. If you haven’t yet booked your flights, however, you might still have some questions. This section will take care of that. Since Porto is in the northern part of Portugal, it isn’t quite as sunny or warm as the Algarve coast, but you still don’t need to worry too much about the weather. Like most of southern Europe, Porto enjoys fairly mild weather all year round. Porto can get hot in the summer months, with average temperatures reaching the mid to high twenties. Spring and autumn are milder, but even the winter temperatures average at around 15 degrees. That means you can enjoy a couple of days in Porto at any time of year! If you want to avoid the hottest days – and the summer crowds! – May and September are a great time to visit. If you want to make the most of the riverside cafes and outdoor seating, though, June, July and August are the only months that have less than 50mm of rain. We visited in June and the weather was pretty temperamental. We had some overcast mornings, sunny spells and one afternoon of storms. Porto is as easy to get to as you’d expect. You can find direct flights from across Portugal, as well as from most major European cities such as London, Copenhagen, Frankfurt and Krakow. You can also fly directly from some cities outside of Europe, including New York, Casablanca and Sao Paulo. Flying isn’t the only way to get to Porto, though. Porto is well-connected to much of mainland Europe by train, with the journey from Lisbon taking less than 3 hours. But if you want to see the best of Portugal, it’s a great country to drive in. In fact, it may just be one of the most underrated road trip destinations in the world. Check out this post to find out more about road tripping northern Portugal. Porto is a fairly compact city, and most things will probably be within walking distance as long as you stay in the main areas. Porto has everything from boutique hotels to cosy studios, so you should have no trouble finding somewhere. The only problem you might face is price. 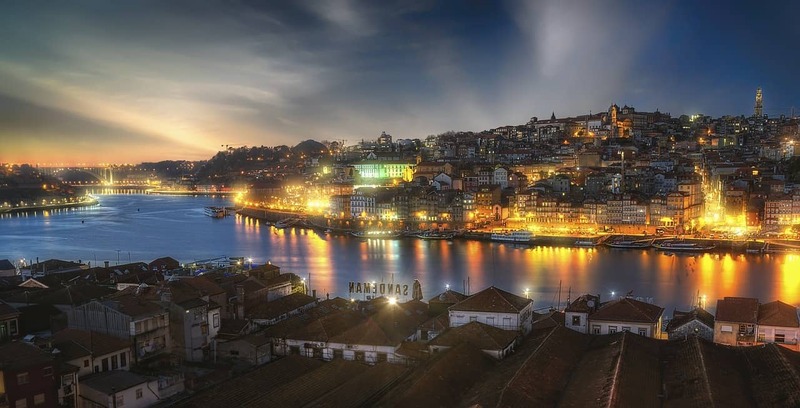 Even though Porto is a relatively cheap city to visit, the accommodation can be a little pricey at certain times of year. As a general rule of thumb, the closer to the river the better when it comes to choosing where to stay in Porto. You’ll find most of the main attractions and restaurants near the river, so it makes sense to stay as close as possible. After all, you don’t want to waste any time if you only have 2 days in Porto! As you’d expect, the area can also be the most expensive. We visited on a pretty expensive week but were able to find an affordable apartment just outside of the main area, in Ildefonso. It was a short walk from the river and close the famous Francesinha restaurant, Cafe Santiago. If you haven’t heard of Francesinha… we’ll get to that soon! Of the week I spent in Porto, I only spent about 2-3 days in total exploring. It was enough to get a feel for the city and tick the top things off my list, but I’d jump at the chance to go back and see more. Two days is never really enough time to explore any city, but Porto is the kind of place you can still enjoy in a short amount of time. It’s the ideal city break destination, so don’t be put off if you only have a weekend to explore – especially given how easy it is to get to! If you’re looking for a European city break, Porto is perfect. With a little bit of planning, you can squeeze in a surprising amount and see a whole lot – which is what we’ll talk about now. I just can’t promise you won’t leave wanting to go back again! This Porto itinerary will assume you have two full days in Porto. If you’re making an even speedier visit and departing the day after you arrive, you may want to skip one or two things each day. 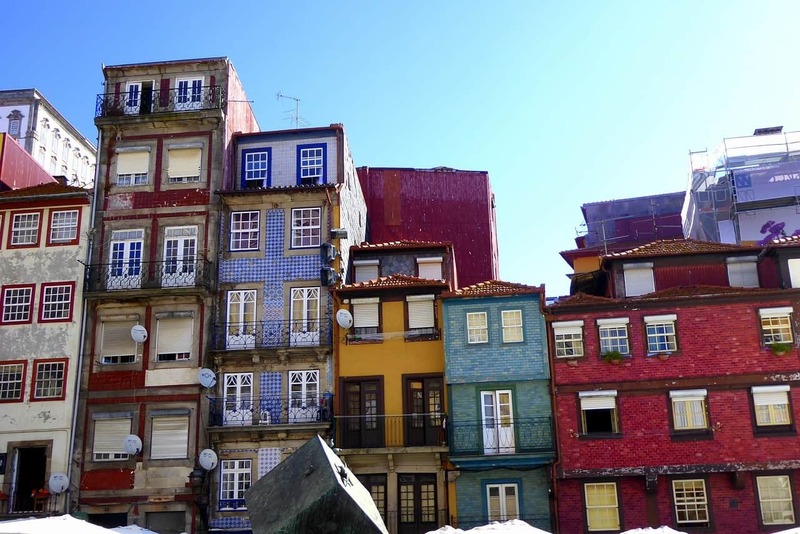 With just two days in Porto, you don’t want to waste any time! Jump straight in with the only kind of breakfast you’ll want to eat in Portugal: Pastel de Nata. If you’ve never had the chance to taste a Pastel de Nata, you’re in for a real treat. These small custard tarts are deliciously sweet, impossible to resist and a must-eat when in Portugal. If you enjoy a morning coffee (or two), you won’t be alone in Portugal. The typical way to drink coffee in Portugal is as an espresso (um café) or an espresso with a little extra water (uma bica cheia). 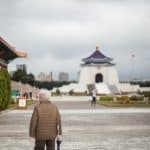 One of the best ways to get to see a new city in a short amount of time is by joining a guided tour. Withlocals has plenty of quick introductions to Porto, as well as more specialised itineraries, that will help you get your bearings and learn about Porto in 1-3 hours. I hope you worked up an appetite on that walking tour because it’s time to try Porto’s answer to comfort food: francesinha! Francesinha is a croque-monsieur taken to the next level. Think a ham and cheese toastie with extra layers of sausage, steak and bread, served in a puddle of tomato and beer sauce and topped with a fried egg. Francesinha isn’t pretty to look at, but it sure is tasty. You’ll have no problem finding francesinha, but if you want to try the “best” francesinha in Porto, head to Café Santiago. Walk off lunch with a riverside stroll. Head down to the Douro river, and spend some time exploring the cafés, shops and street music while soaking up the chilled atmosphere. Once you’ve digested your francesinha, it’s worth making the long climb up to the Ponte da Arrábida. This impressive bridge offers some incredible views across the city, as does the viewpoint that sits just behind it on the south bank. If you feel hungry again, the riverside has many great restaurants with live music. It’s also home to many of the port tasting tours. If you’re a wine-drinker – and not allergic like me! 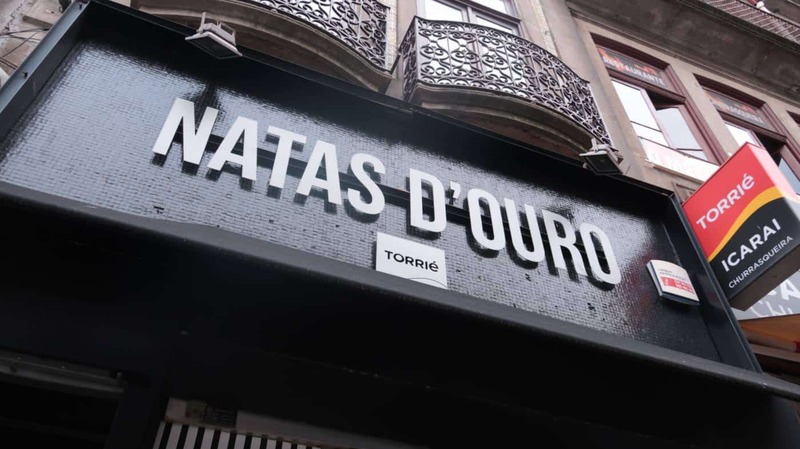 – this will be a must-try in Porto. Most of them can be booked in advance if you want to guarantee a spot at a particular winemaker. If your mouth is still watering from yesterday’s Pastel de Nata, now’s a great time to grab another one! If you prefer something less sugary in the morning, Porto has no shortage of breakfast options. From cute little bakery and pancake shops to healthy delis and , the best way to choose where to eat in Porto is to simply wander and see what jumps out at you. If you want to make like the locals, grab a quick coffee and head to a brunch spot. Stay connected wherever you go with SkyRoam pocket WiFi. This handy little device will give you unlimited data for your trip to Portugal, so you’ll never be without maps, emails and a way to contact home. Now you’ve taken the guided tour, it’s time to explore solo. Porto is the kind of city you want to get lost in because its streets are so unique and picturesque. Head to Miragaia if you want to see some of the prettiest streets of all. This quirky quarter was once home to a Jewish and Armenian population, and has plenty of colourful buildings and street art to satisfy art lovers. If you want to try another traditional Porto dish, look for somewhere serving “caldo verde”. Chances are, you won’t have to look far. This kale soup is a popular dish in Porto and can be flavoured with garlic and chorizo. If you’re a vegetarian, check with the waiter to see how the restaurant you’re eating in prepares it. Porto has so many faces that it’s impossible to see them all in just a couple of days. With just two days, you’ll want to prioritise whatever interests you the most – and leave the rest of the city for your next visit! On your second afternoon, you could choose any number of things to do in Porto. You can spend an entire week soaking up the architecture or photographing the city. If you enjoy picking up unique souvenirs, Rua de Santa Catarina is a pedestrianised street lined with unique brands. Porto also has several beaches within the city and plenty more just a stone’s throw away. As your two days in Porto draw to an end, enjoy one last Portuguese meal. If you didn’t have room for food on the first night, head back to the Douro and enjoy some traditional Portuguese food in a riverside restaurant. You can probably find one with live Portuguese music. 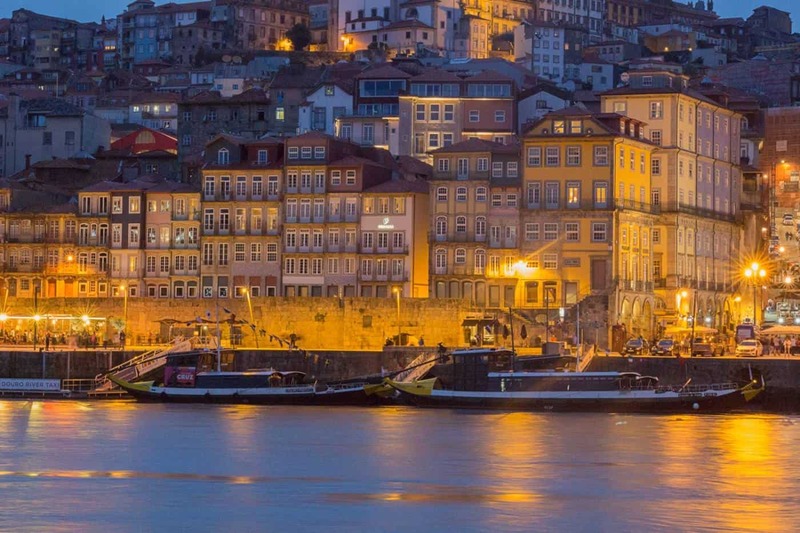 If you want to see the river from a different angle, why not hop on a Douro dinner cruise? Of course, not every trip will fit this itinerary. Whether you’ll be staying for a longer or shorter period of time, here’s how to adapt it for your own trip to Porto. Jump on a local tour to see the best bits and make sure you leave time to try the local foods! Even better, see if you can find a tour that combines sightseeing with food tasting. If you have a little longer, you’ll have no trouble filling the time! Explore more of Porto (see the second day afternoon for more ideas) and really get to know the city. If you have more than three days in Porto, I’d also recommend getting out of the city and exploring the surrounding region. Northern Portugal is laced with quaint towns, each with their own character, and many of them are only a short drive from Porto. 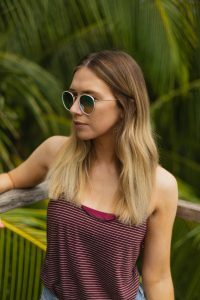 Check out this post for some ideas on where to go.